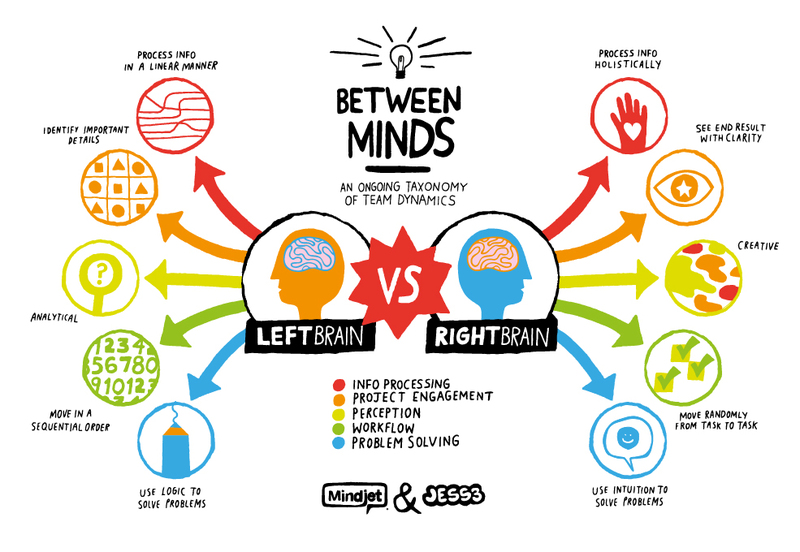 You might have know that we’ve got two sides of our brain – the left (logical) side and the right (creative) side. Some are more left-brain people while others are right. In this interesting post by Fastcompany I got to learn about the 4 tip how we can actually master thinking using both sides. Being a musician myself, I have heard that playing a musical instrument actually helps develop both sides of the brain. After reading the article on Fastcompany, I got a fresh new perspective on how I can improve myself better. Tip #1 – Capture New Ideas. Pay attention to and collect fresh ideas and inspiration of all kinds when outside, or while reading newspapers and magazines online. Using tools like Evernote, Notepad, etc. you can capture ideas wherever you are and syncs them to your other devices. For instance, if you make a note on an iPhone, it syncs it online and on your desktop computer. It also reads and extracts text found in images. Tip #2 – Engage in challenging tasks. Give yourself a chance to try things that stretch your perceived limits and that are completely new to you. This is about seriously stimulating activities like learning a foreign language or mastering a musical instrument (or at least learning to keep time). Regularly provide yourself with an opportunity to ask for and complete difficult jobs. Tip #3 – Broaden your knowledge. Innovation can come from anywhere–especially from parallel industries, and even history. Your continuing education programs should encompass as many different kinds of learning as possible. Don’t limit yourself to conventional industry-specific course work. A green energy startup might send its people to a course in aeronautical design or a class on the history of mechanization. Or do knowledge exchanges. Tip #4 – Interact with stimulating people and places. Make sure you get out from behind desks and experience the world. Look at your local newspaper for events or networking opportunities and go out there and meet new people. The more new people you meet, the more you are actually outside your own shell or comfort zone. This stimulates your brain to think more out-of-the-box than your regular daily routine. I, on my own since i couldn’t get past algebra in math due to my understanding that i would never need this in life. Finding out college mandated it caused me to give up on school and continue my life learning what i wanted to. I just took a quiz and I’m 50/50 left and right side brain user who has achieved Astral Projection. Now i have achieved ultimate Absolution and there are endless possibilities 🙂 I have beyond a PhD i gained through life and applying every single thing on your chart to life. its the personification they lack use of in the sense of applying everything to it! Thanks awesome Lindsey! Great to know..